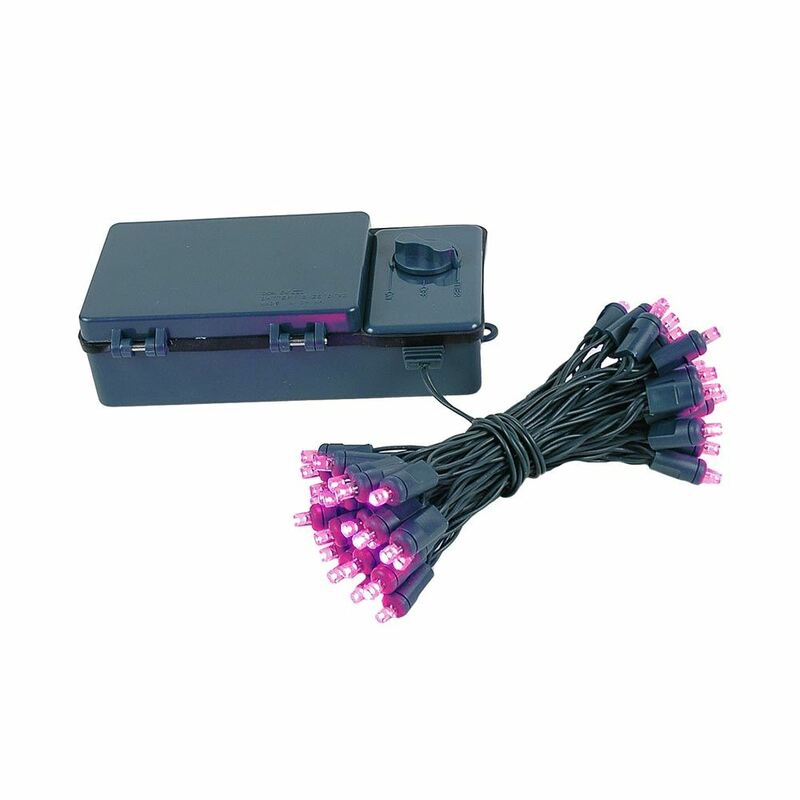 50 light battery operated LED Christmas lights that run on 3 D batteries and have a built in auto on timer. 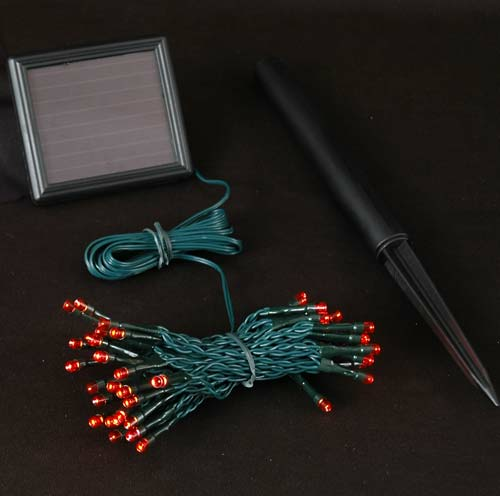 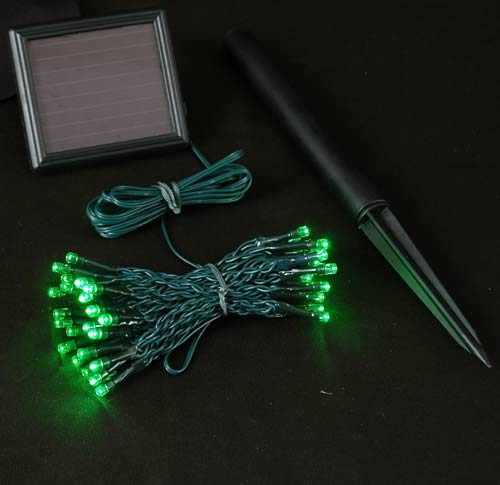 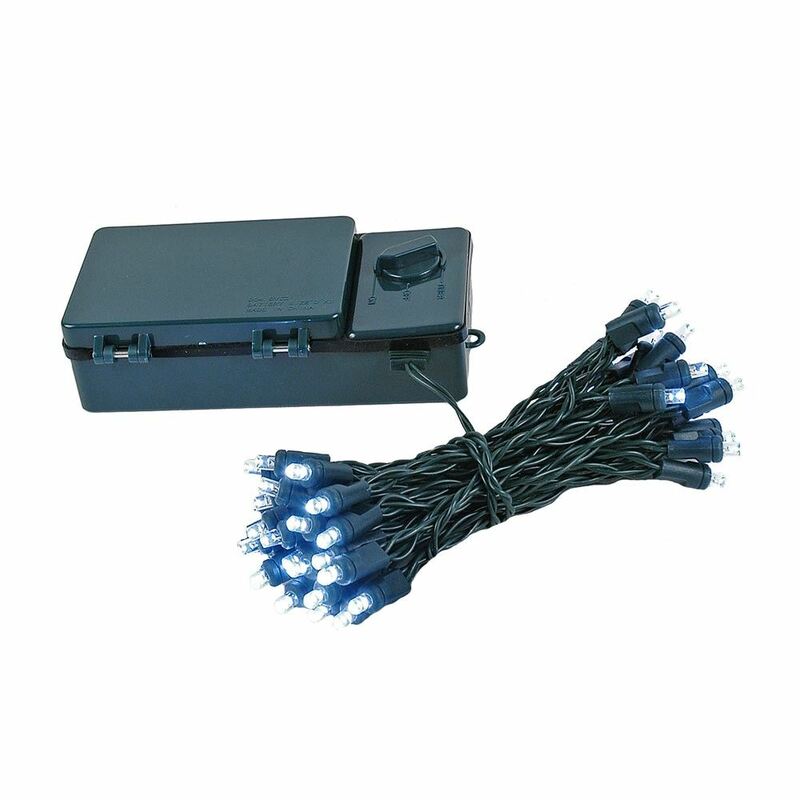 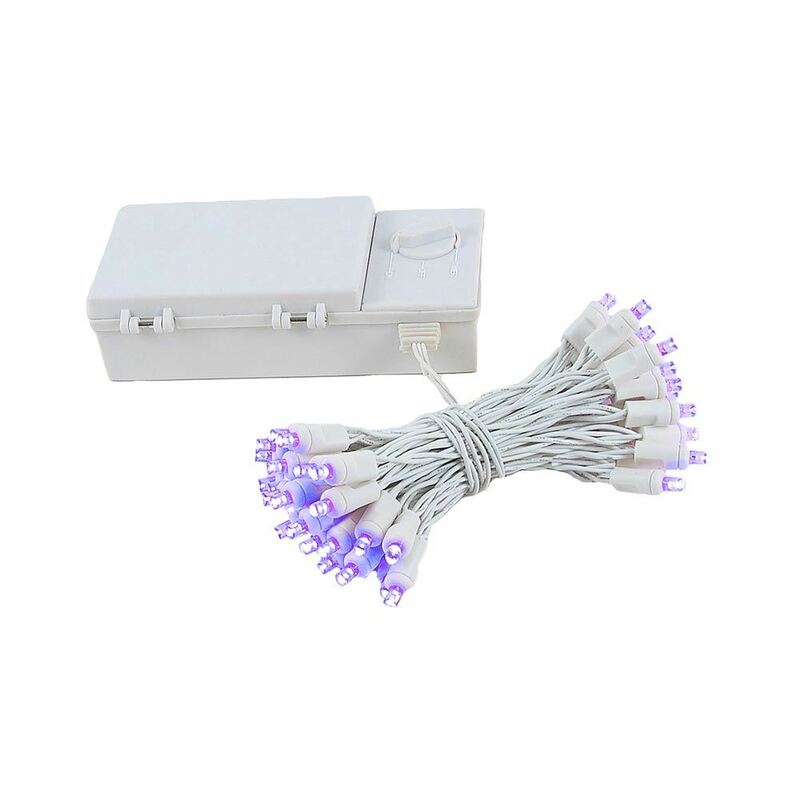 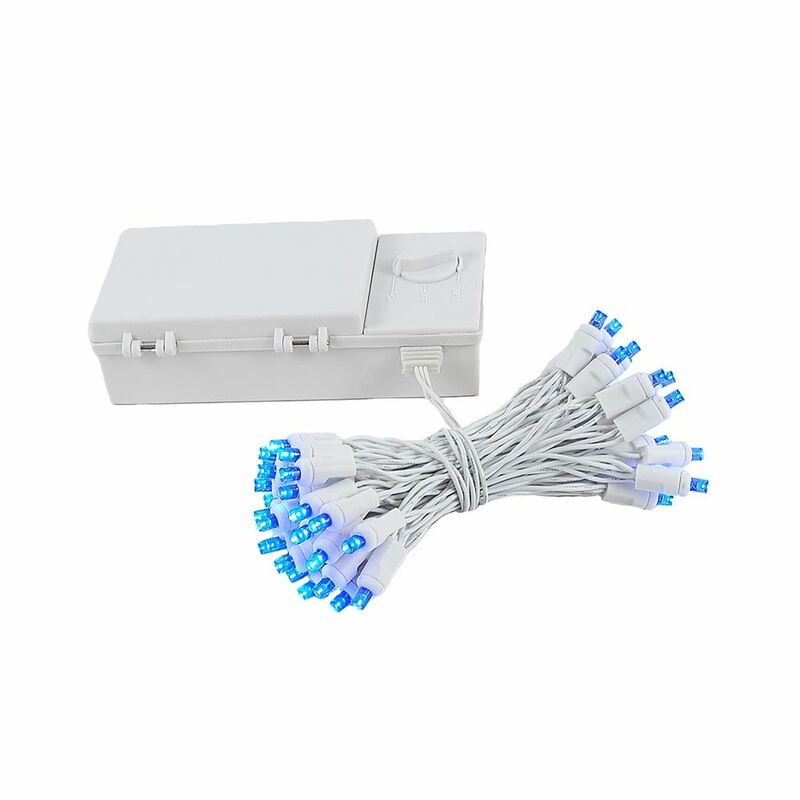 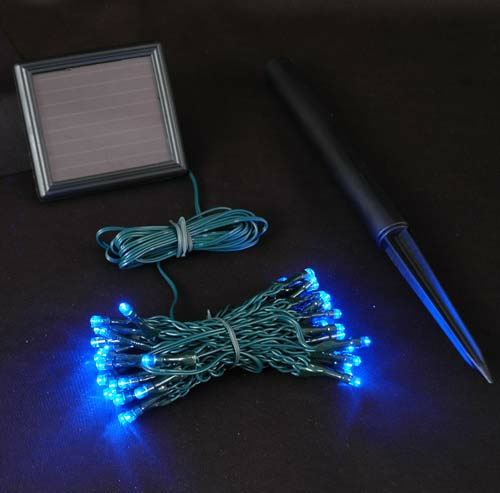 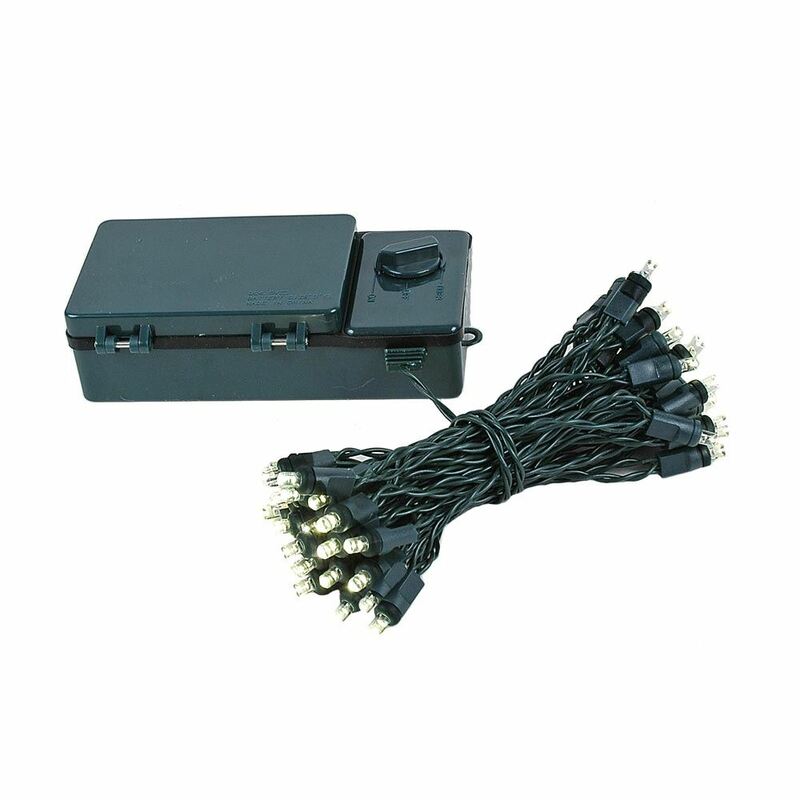 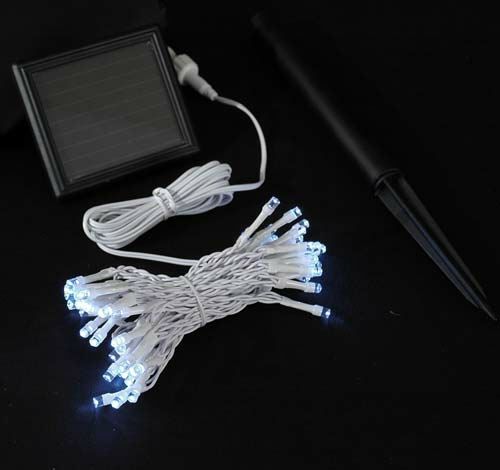 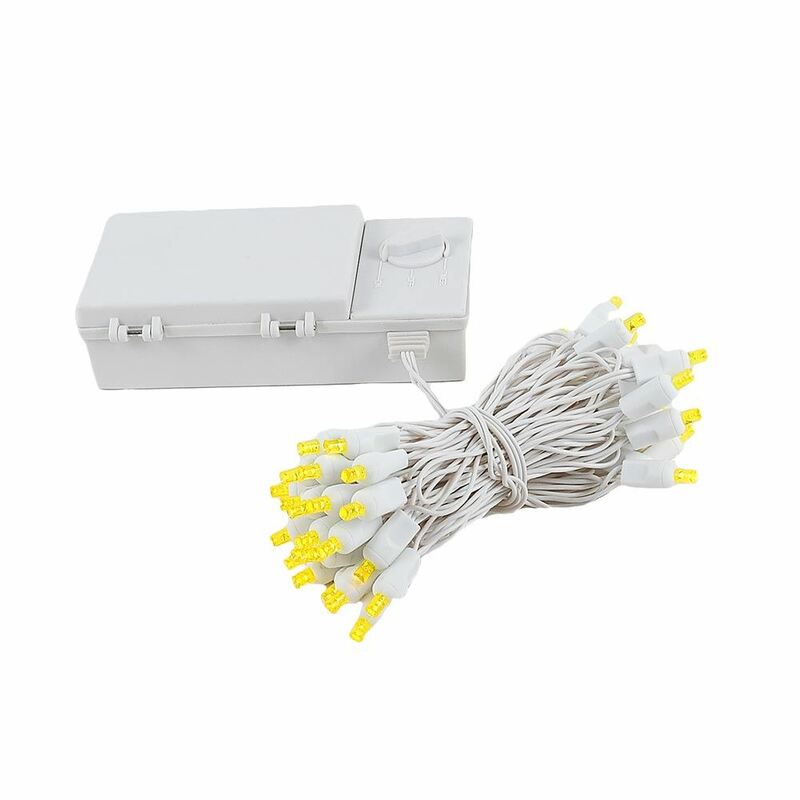 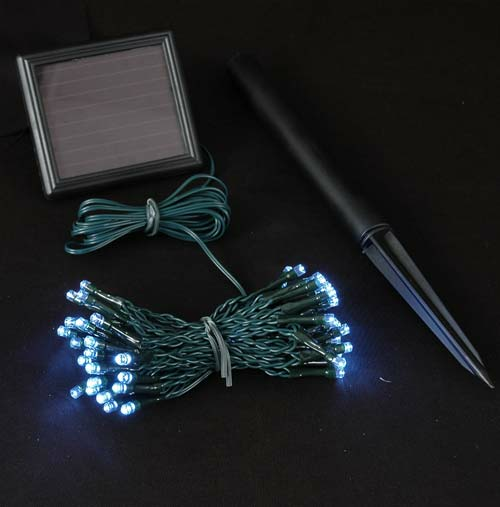 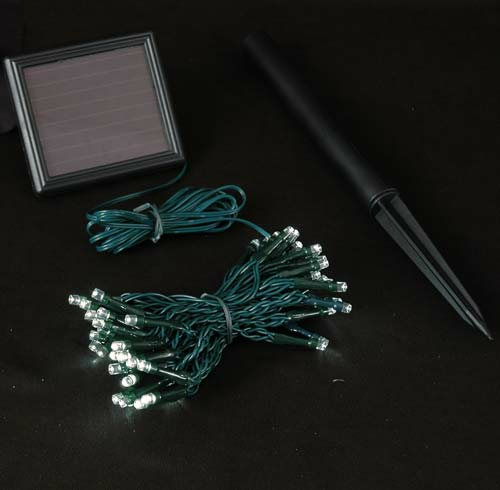 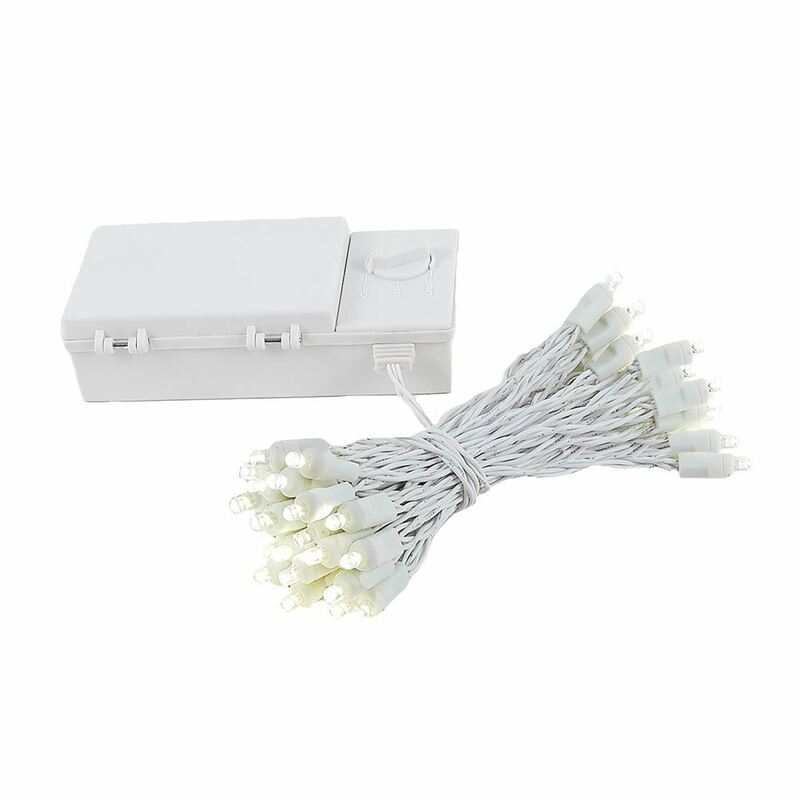 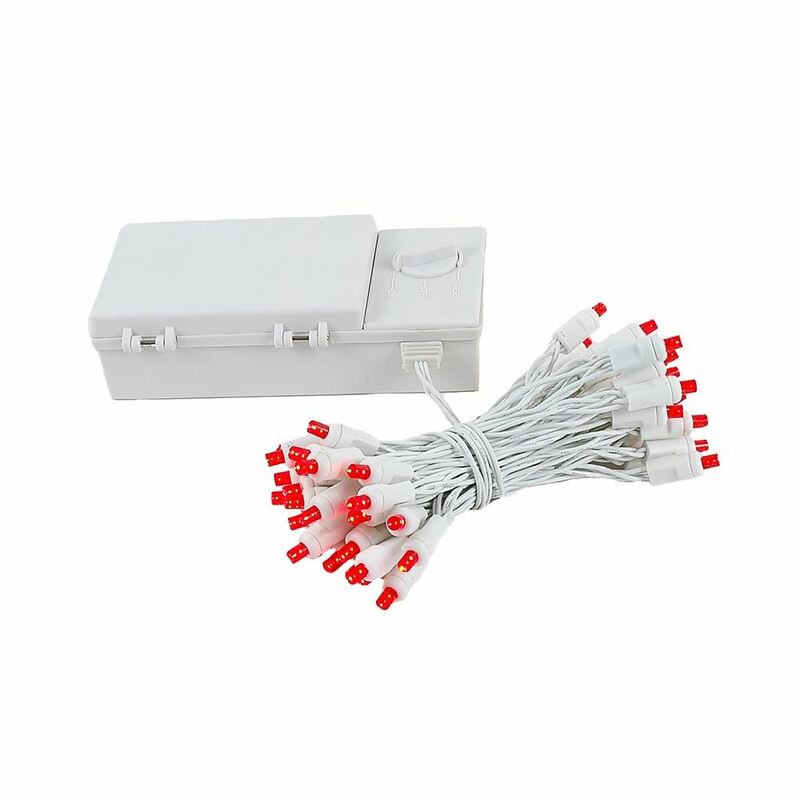 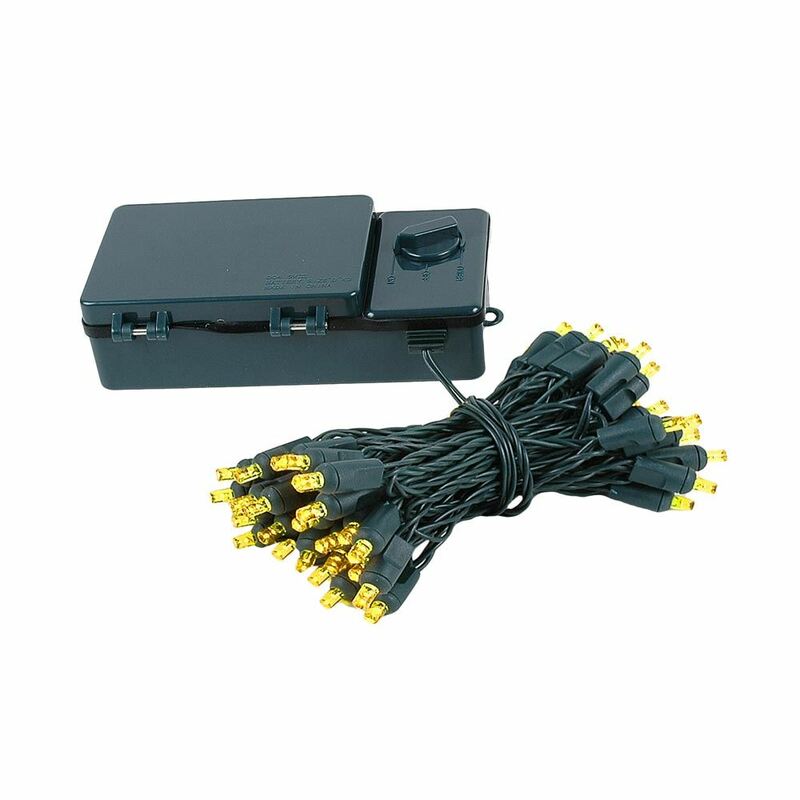 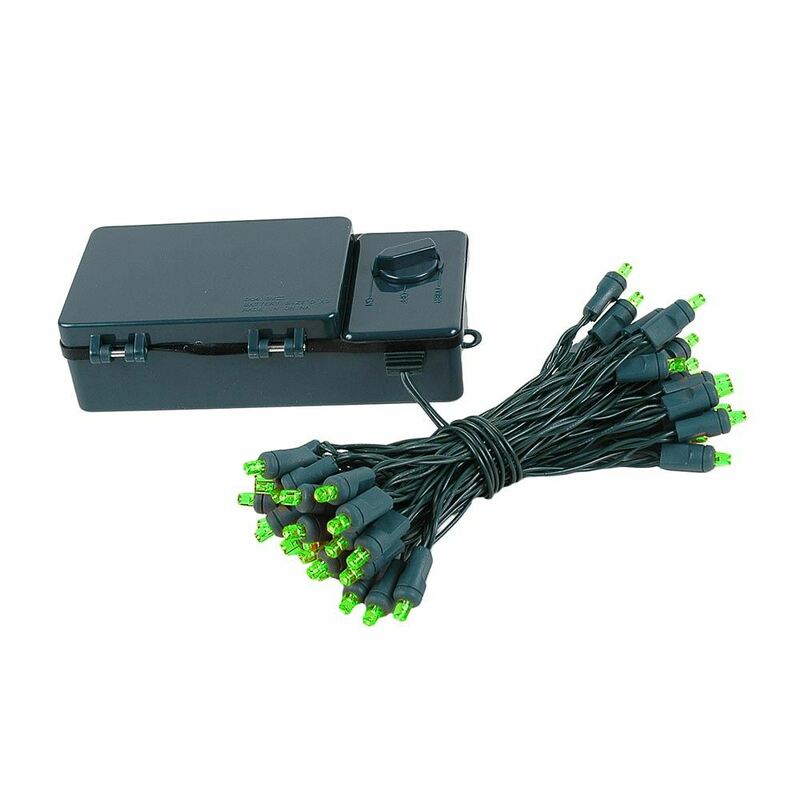 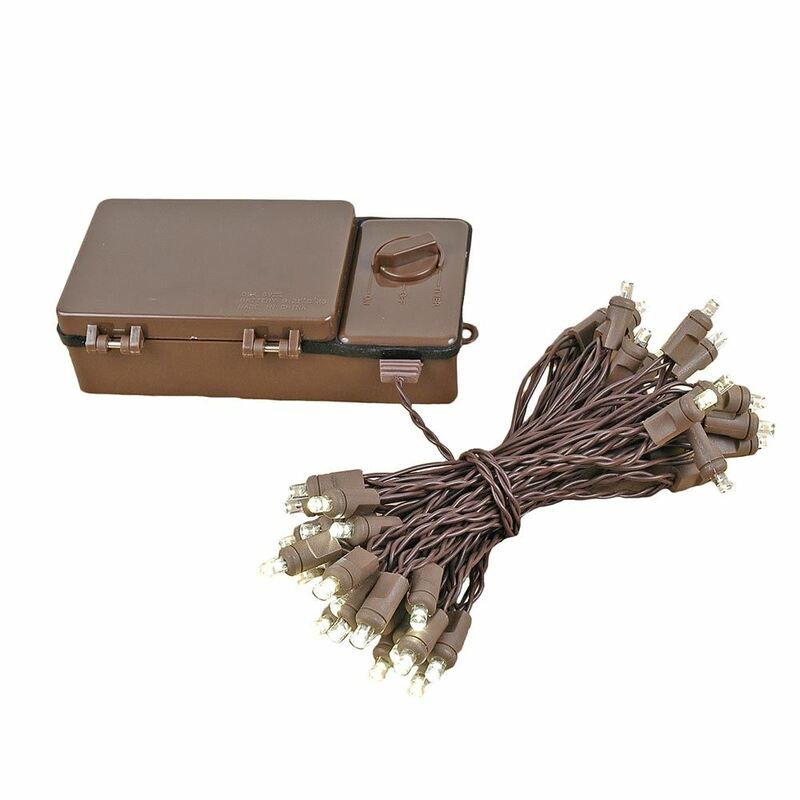 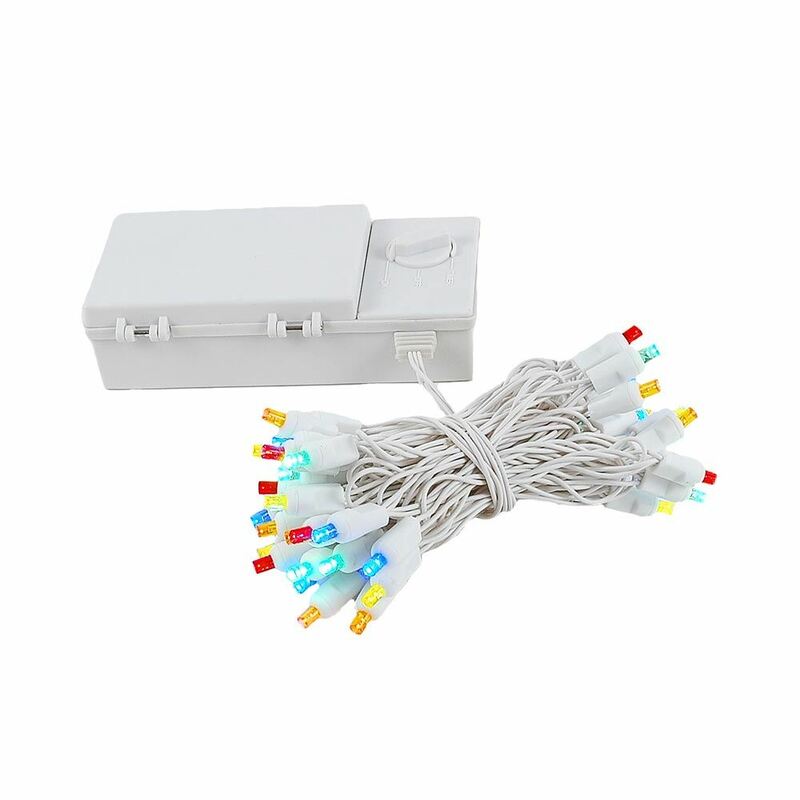 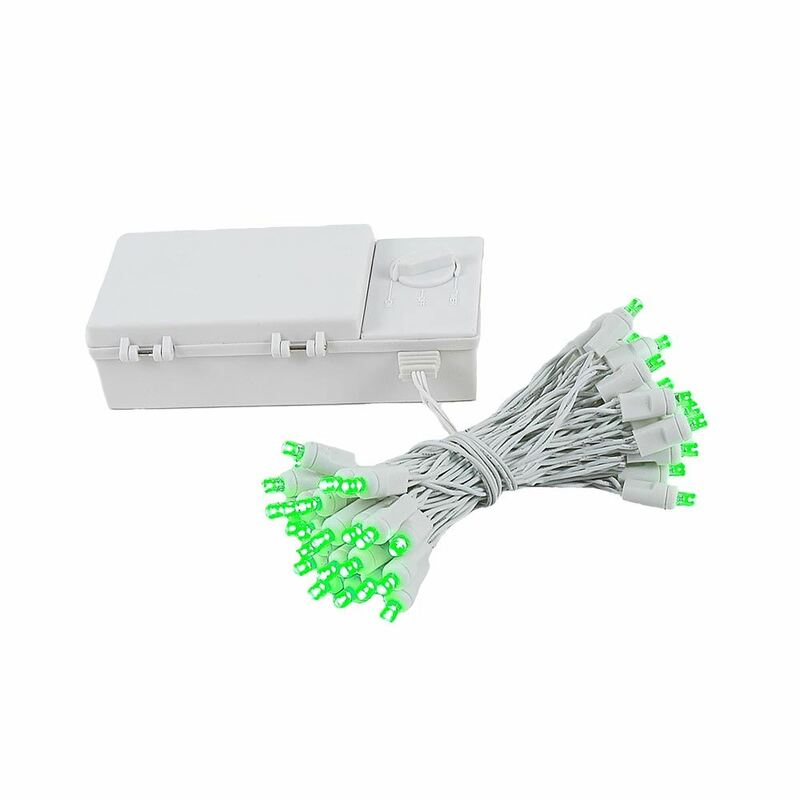 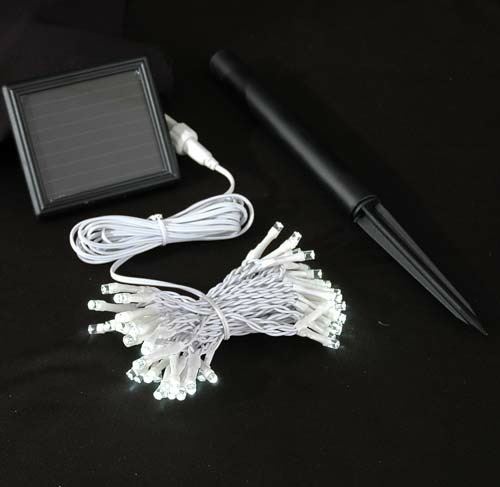 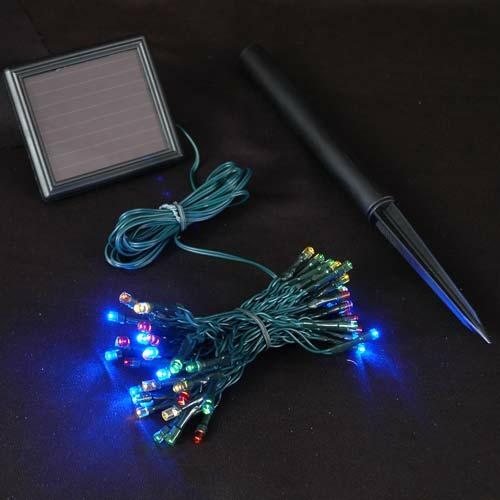 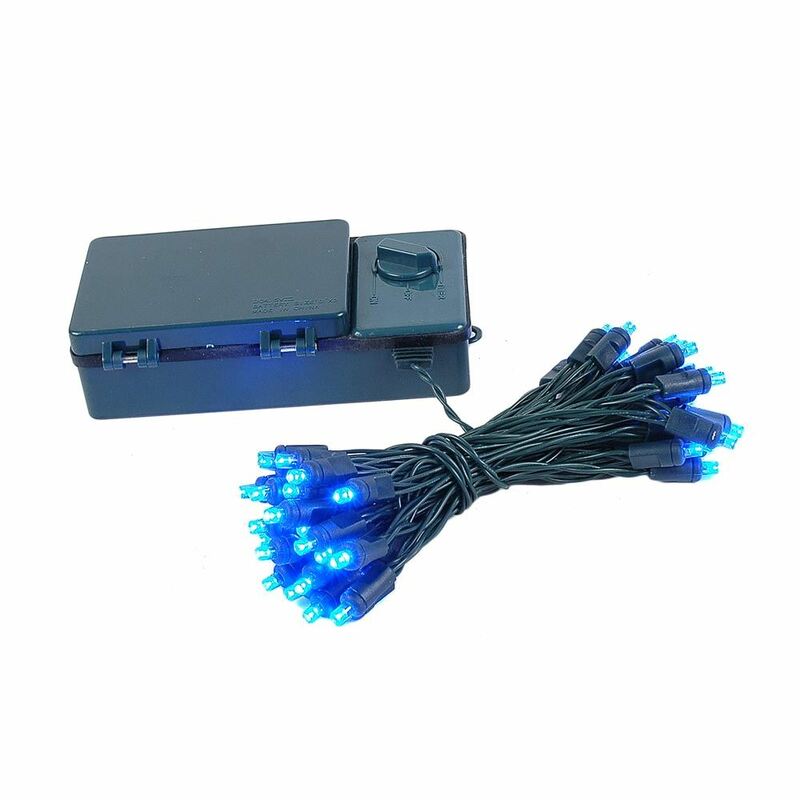 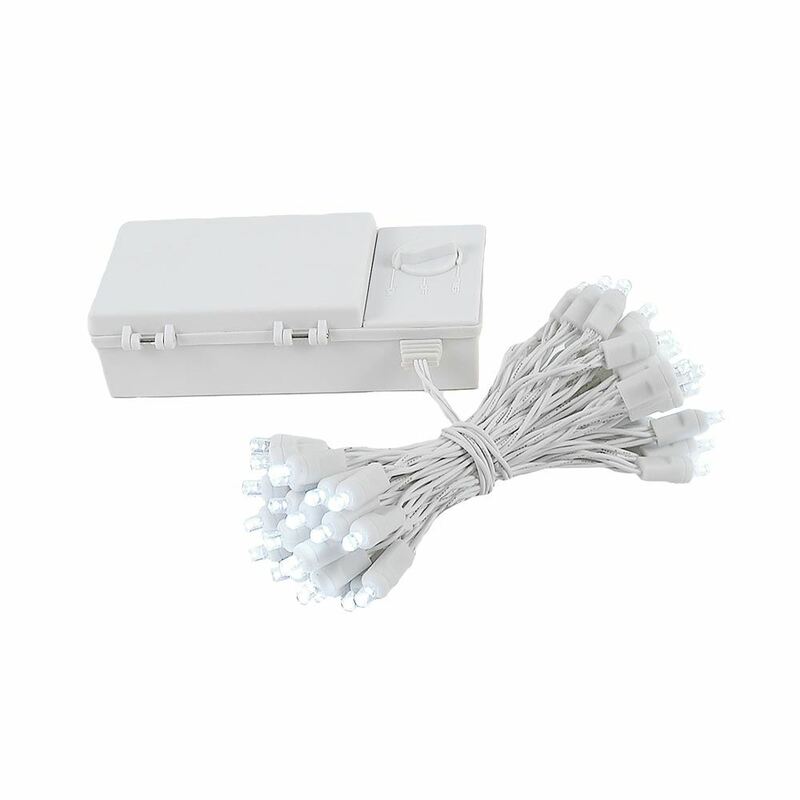 Our 50 LED battery operated lights are available in lots of different colors and on green or white wire. 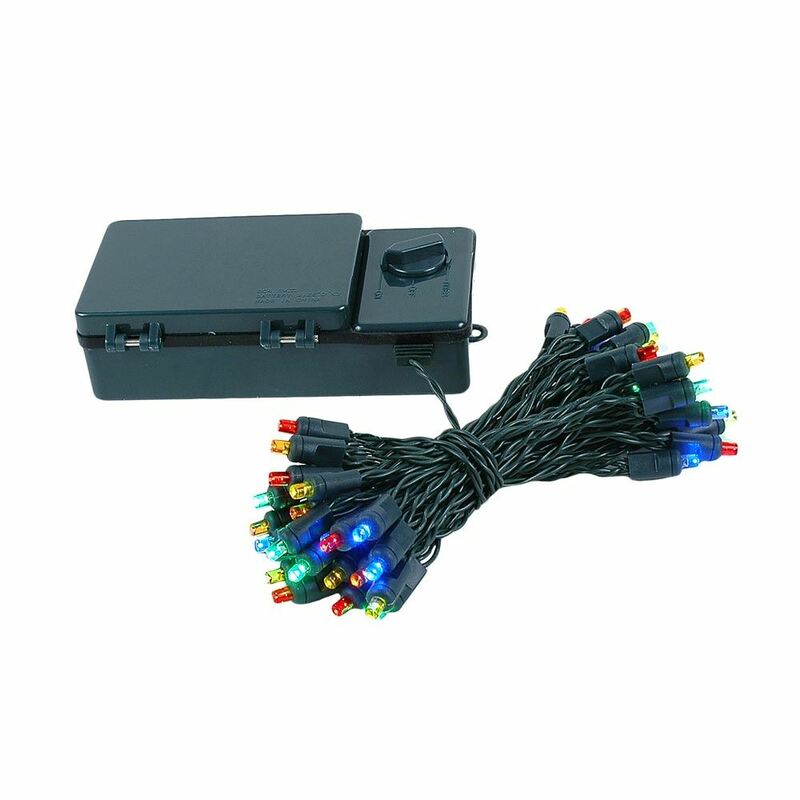 These Battery light sets have non removable wide angle mini LED bulbs that will run for weeks not hours like traditional incandescent Christmas lights.